FC Shakhtar Donetsk has chosen the Arena Lviv stadium in Lviv as a temporary venue for its home matches. "It's easy to clarify why this venue was chosen. First and foremost, FC Shakhtar proceeds from safety issues. Given the circumstances, the club focused exclusively on the list of cities in which UEFA allows to hold European league matches," the club's press service reported on Wednesday. Shakhtar also said that the Arena Lviv was a great modern stadium, which became unclaimed after Euro 2012. "Among other things, Champions League matches are not far off. 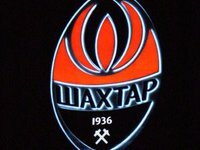 Shakhtar also plans to hold them at the Arena Lviv," the club said. The Donetsk team will conduct training sessions in Kyiv and play home matches in Lviv.